Electrical stimulation is again making news for helping people with spinal cord injuries (SCIs) make progress in their spinal cord injury recovery. In a recently published article in Nature, researchers shared how electrical stimulation, in combination with physical therapy, helped human test subjects with residual motor function regain control of their leg muscles. Describing the present day as a “breakthrough” time for spinal cord injury research, the researchers used electrical stimulation physical therapy to help three people recover leg control and improve their ability to walk. Even after the therapy ceased, however, some of the subjects continued showing improvement in muscle movement. What is electrical stimulation therapy, and how has it helped these patients (and others) with their spinal cord injury recovery? Electrical stimulation is the practice of using electrodes to transmit low-level electrical impulses to specific muscles in a patient’s extremities to facilitate contractions and maximize spinal cord injury recovery. Many spinal cord injury rehabilitation centers use electrical stimulation as one of their spinal cord injury treatment options. Although the stimulation doesn’t cause the muscles to move on their own, it is used in conjunction with the patients’ efforts to engage or move their muscles themselves, acting as an amplifier. Increasing muscle control and decreasing spasticity and flaccidity. To promote spinal cord injury recovery, electrical stimulation can be performed through above-the-skin electrodes via functional electrical stimulation (FES) or below the skin through epidural electrical stimulation (EES), which implants electrodes in the epidural space of your vertebral spine. 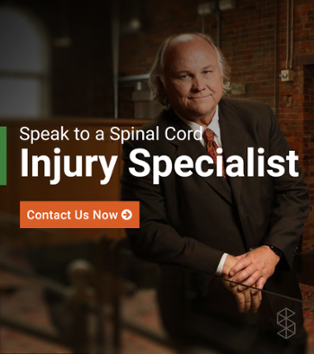 Although spinal cord stimulation (SCS) has been around for about 50 years, it is making huge strides in its ability to help people with certain levels of spinal cord injuries (SCIs) regain the ability to walk. The study, published in Nature, is just one of the latest studies in spinal cord injury research relating to EES. The purpose of the study, which was headed by Grégoire Courtine, a neuroscientist at the Swiss Federal Institute of Technology in Lausanne, was to determine how spinal epidural stimulation, in combination with intense physical therapy, could help to restore walking function in individuals with varying levels of spinal cord injuries to enhance their spinal cord injury recovery. However, the study was of patients who retained some residual motor function below their injury sites. According to the electrical stimulation therapy study for spinal cord injuries, this “burst stimulation and spatiotemporal stimulation” helps to facilitate the naturally-occurring signals between the brain and body that control motor neuron activity by mitigating interference that may occur during continuous EES. Essentially, the researchers determined what areas of the spinal cord are involved in specific movements that are necessary for walking (hip flexion, ankle extensions, etc.). Then, they programmed specific electrical pulse sequences to stimulate the particular regions of the study subjects’ spinal cords at specific times to help facilitate their movements. Want to learn more about breakthroughs in spinal cord injury research? Be sure to download our free resource by clicking on the link below. 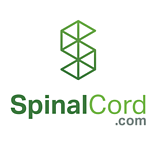 SpinalCord.com has been created as a resource for patients of spinal cord injuries and their families. Find everything you need to learn more about your injury, locate a doctor or treatment center, or discover financial relief to support you through this difficult time.